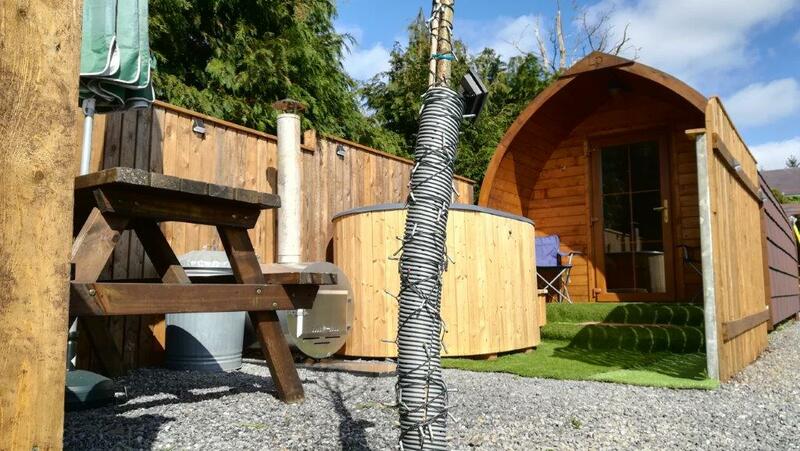 We offer, along with all of our onsite facilities, a warm Welsh welcome and the peace and quite that leads to a relaxing break from the every day grind. 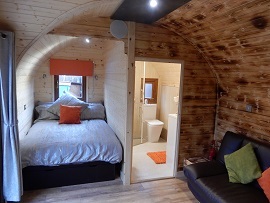 Here you can enjoy the true ‘Glamping’ experience by staying in one of our Famous Log Pods or Barrel Pods, these offer the ability to get away for that well deserved weekend break ( or longer ) without all of the hassle of packing camping equipment, all of our Glamping Pods are equipped with TV, DVD, Kettle and a fridge, and for those who want that extra luxury, we even have models with a separate full size double bed with en-suite shower bathroom. 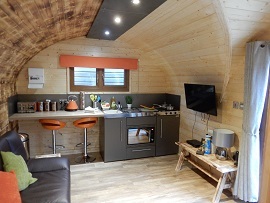 For those who prefer to bring their own accommodation we also welcome tents, caravans and moterhomes, all of the campsite paddock pitches are on flat ground, with easy vehicle access and are positioned around the outside of the campsites centrepiece fishing lake which guests can take full advantage of totally free of charge. 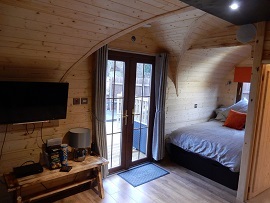 Our separate Tent field is also flat and surrounded by hedges and trees and within easy access of the sites facilities. The lake also provides ample opportunity to just sit back and watch the abundant wildlife, we have a wide variety of resident waterfowl and regularly get visits from passing lesser seen birds. 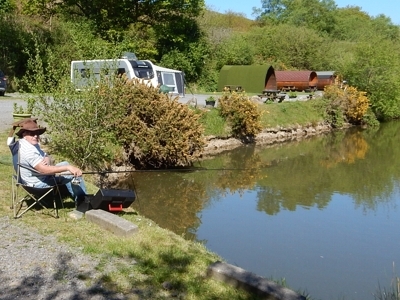 The slow pace of life on the campsite makes it the perfect place to take a well earned break, whether it be fishing or simply relaxing and watching the world go by, for the more energetic, the site is surrounded by fantastic Welsh countryside and provides a great base for walking, hill running, cycling etc. Carreg Cennen Castle and Gelli Aur Country Park are just a short drive away and provide great opportunities for stunning views and to see some of the local wildlife such as Red Deer, Eagles, Kites and more. 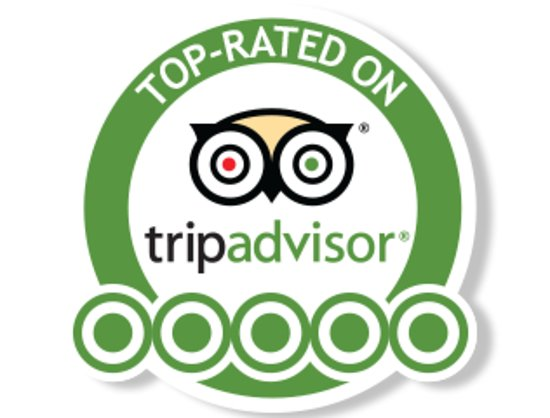 Just a short drive away is the well known Cennen Arms which always offers a warm welcome to visitors and is family-friendly, here they serve a fine selection of food and drink including some local ales. 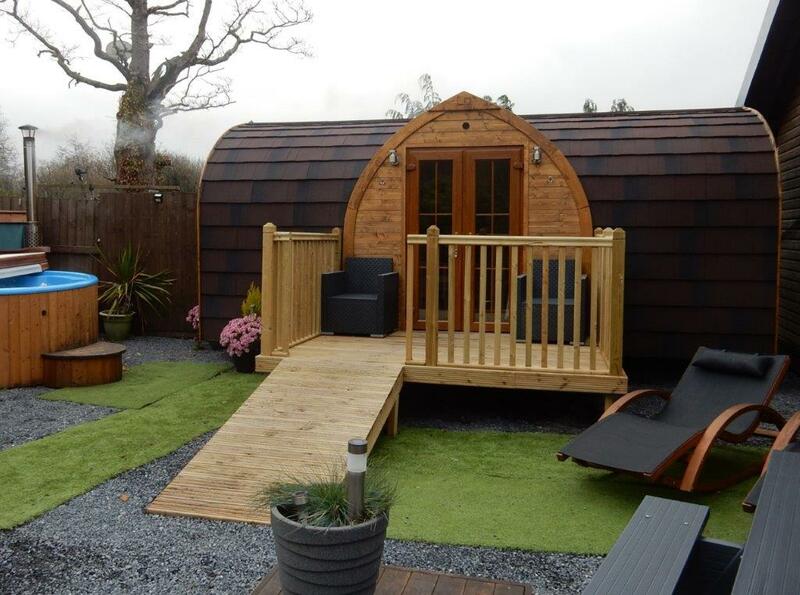 Pods, Caravans and Tents, book your break online using our secure booking system. 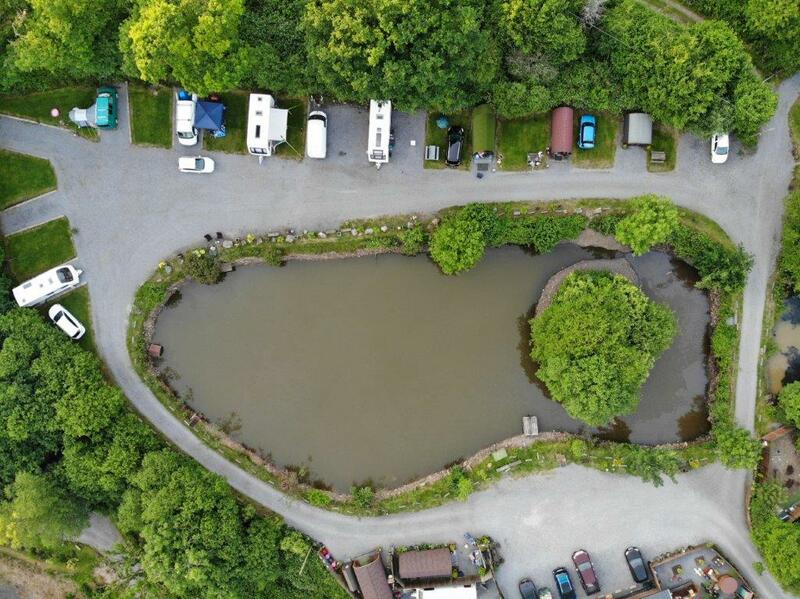 Located in and area of outstanding beauty within the National Park, Bryncoch Farm Campsite offers an ideal base location to explore every aspect of the South Wales area, from incredible mountain walks to stunning sandy bays and long reaching cliffs, there's something for everyone to enjoy.